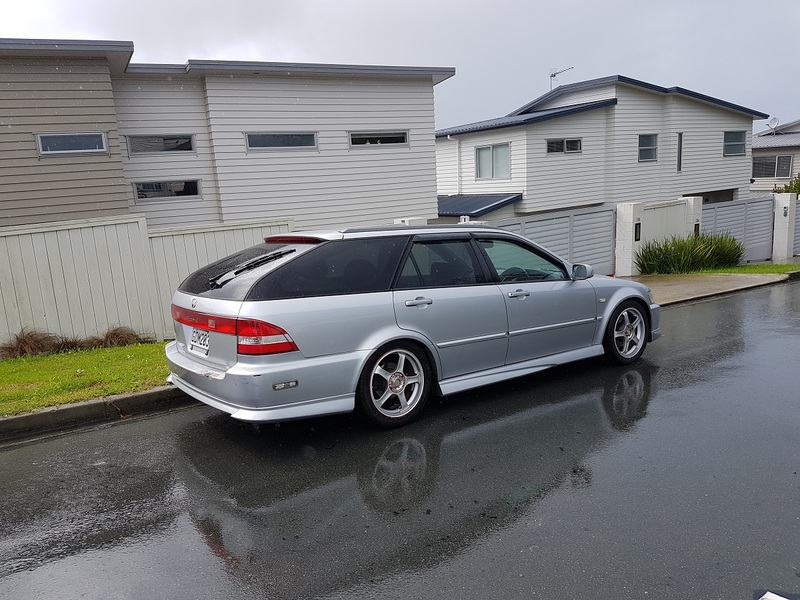 Hey guys what's up from New Zealand, I stumbled across this forum looking for pics of wagons and it's cool to see there are still some people posting here. 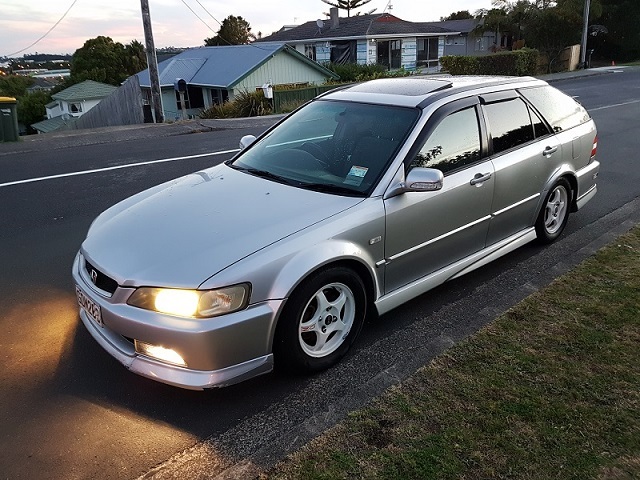 I've got a 2000 CF6 wagon I bought for a daily for 2.5k NZD and it's been awesome, it's got 200,000ks but the last owner treated it well and even had the auto gearbox replaced after it crapped out which cost him about 2k alone.. so hoping this one holds up! It also came with a 12" sub and alpine head unit and sounds great. Man there is so much space in these things for bikes, wheels or anything. It looked nice but I thought the wheels were a bit small so I found some advans for $500 and put them on. Happy with the look now and it rides great on the 17s. I'd like to lower the front a bit more but it's maxed out on height. 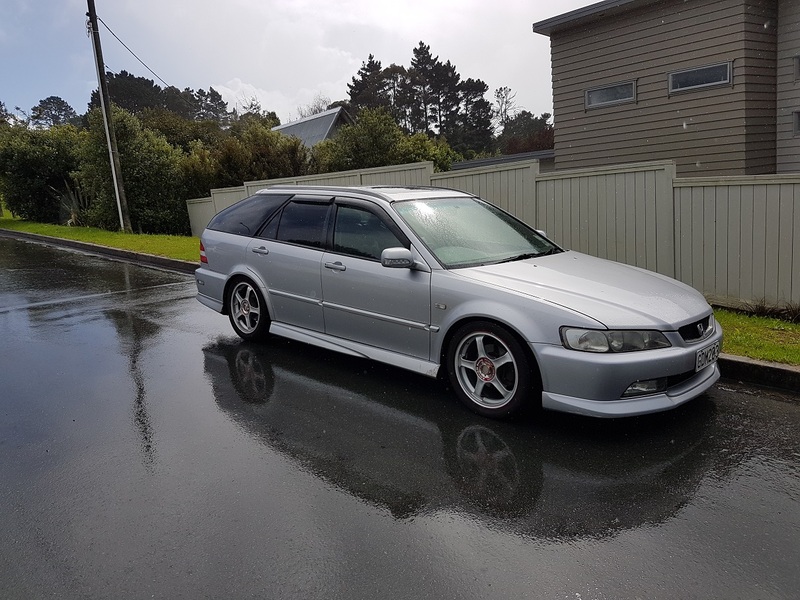 As for plans for it I don't want to spend a lot as it's just a daily but I want to tint the front windows to match the back. Maybe get the front lip and back bumper fixed up. Also if there are any bigger rear wings you can get that might be cool. It has an issue with idling when warm, it sits around 2-300rpm and sometimes stalls I think this might be the IACV so need to check that. Anyway thanks for looking hope you guys enjoy. Welcome to the site ! 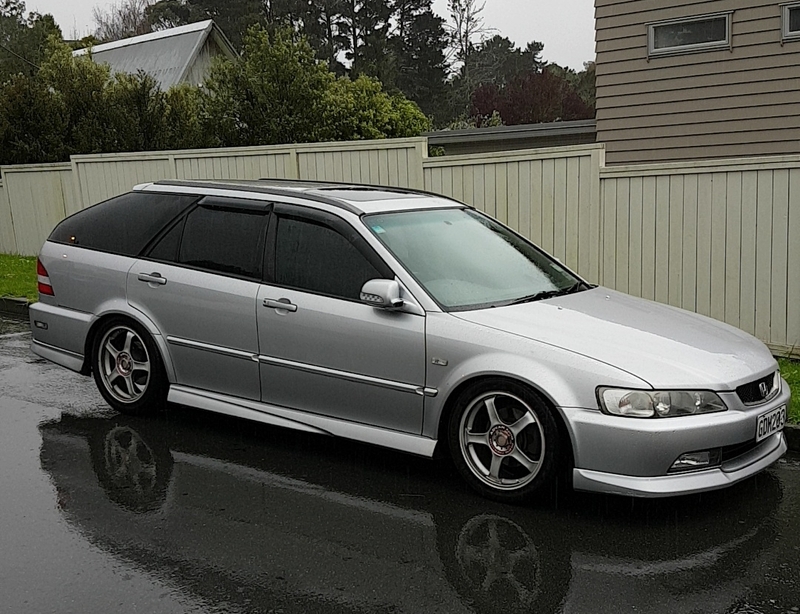 Beautiful Wagon, it definitely looks like it was well maintained ! My buddy has one of these. 3 wings! I just want one lol. Do you know where he got them? I know there's a factory mid wing which sits under the back window on the tailgate which I wouldn't mind getting. Love both of your 5th gen wagons. 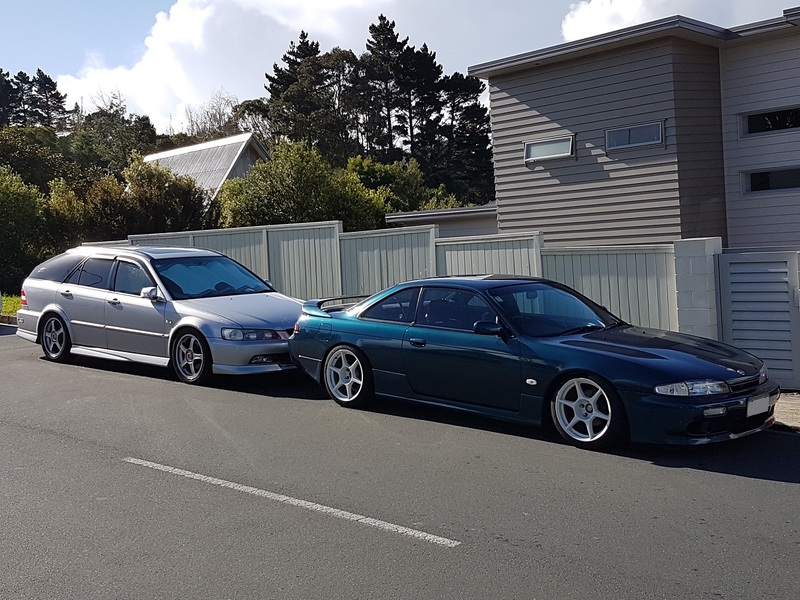 I would have got one of them but they are hard to find now and in NZ if you have a car from 2000 or newer you only need a 1 year inspection instead of every 6 months. I always liked the look of the 6th gen wagon. I think it is a lot nicer than the 4th or 5th gen. Too bad they didn't sell it in the states. Pretty sure he got them from the Japanese auction sites. Yeah hes got that mid wing. Just say "No". Looks nice without the wing. That wings looks so out of place on the red one. 1 spoiler looks off on a wagon. 3 looks like your parents need to take away your glue gun and pinterest privledges. Ben wrote: 3 looks like your parents need to take away your glue gun and pinterest privledges. Hahaha, yeah that wing over the window is a bit much but I like the lower one on the boot lid. 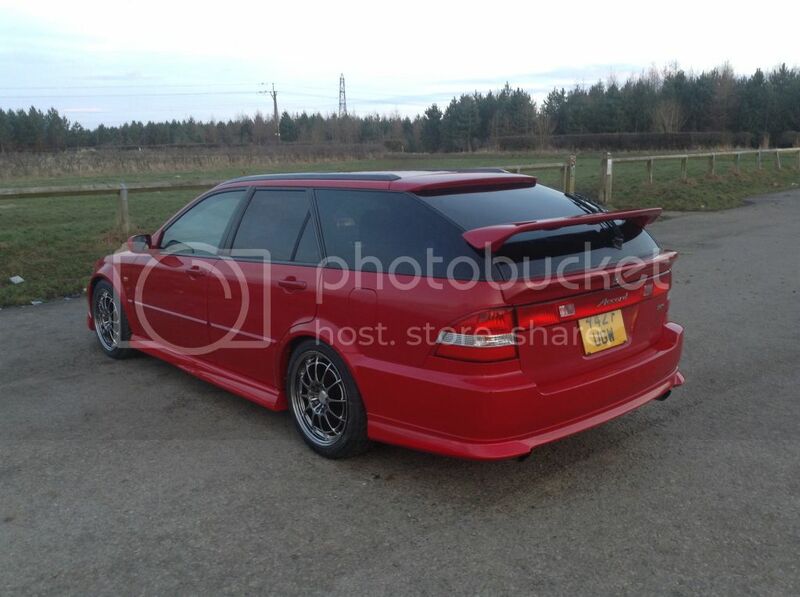 Very sick wagon though love the red and the NT03s. It's a shame they only came in auto, there's a guy here who fitted a CL1 euro r motor and box to his which would be fun. I got the front windows tinted to match the rears last weekend at 20%. The legal limit here for fronts is 35% but hopefully it looks factory enough that I don't get much trouble. 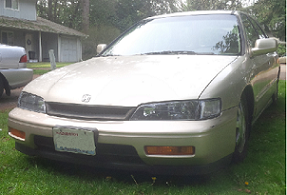 Also lowered the front a little more as well. IMO the 3 wings does look overkill on the red wagon, it's pretty obvious the roof wing and mid wing are both factory oem . The owner should have swapped the middle wing for the roof wing it does look sweet ! Yeah, I love black wagons. Of course, I own one.